At Sumner Law, we believe in standing up for the little guy. Personal injury attorney Scott Sumner has to do that virtually every day, representing injured victims in car accident cases against some of the biggest auto insurance companies in the nation. However, standing up for the little guy takes on a whole new meaning in cases involving truck accidents, where the big guy happens to be a 40-ton, 18-wheel monster. Fortunately, Scott Sumner has the experience, skill, and resources to handle even the most complex trucking accident cases throughout the San Francisco, CA, San Jose, CA, and greater Bay Area with success. If you or a member of your family has been injured in a truck accident, or if you have tragically lost a family member in such an accident, he can help you obtain the damages to which you are entitled. What are the most common causes of the thousands of truck accidents that occur on our nation’s roadways each year? Some are obvious, while others may be less so. A study published by the Federal Motor Carrier Safety Administration in 2007, “The Large Truck Causation Study,” takes the guesswork out of the matter, naming the top ten causes of large truck accidents in order. We invite you to read the top ten causes of truck accidents and then contact Sumner Law to arrange for an evaluation of your trucking accident case. 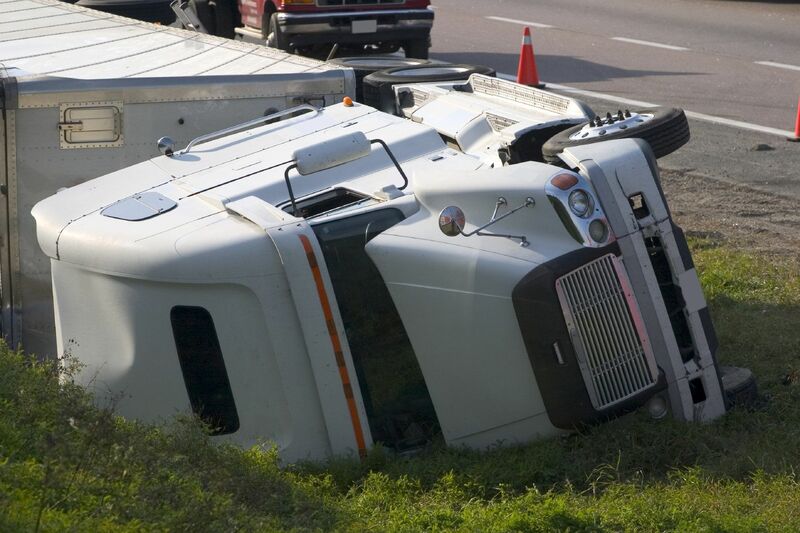 What Are the Top Ten Causes of Large Truck Accidents? You may notice that the above percentages add up to more than 100. This is because more than one cause often contributed to a given accident. For instance, drug use and speeding were often co-contributors. For many years, it was assumed that driver fatigue was one of the top causes of trucking accidents; yet, it doesn’t even crack the top five. Likewise, it might be assumed that road rage would be less common among professionally trained drivers, but it plays a part in 7 percent of all trucking accidents. It just goes to show that even professional truck drivers are prone to the same imperfections as anyone else, and we all need to pay close attention to the people with whom we share the road. To arrange for an evaluation of your trucking accident case, please contact Sumner Law today.